Ever since Penn Forest opened in 2011, people have asked us if we could plant a tree on a family member’s grave. Because trees are bigger than the 4’x8’ footprint of our full body graves, we can’t plant trees precisely on specific graves. Instead, every year in October we offer a memorial tree-planting event where people can plant trees near their loved-one’s grave. But in addition to traditional green burial, we offer options to disperse cremated remains as well. 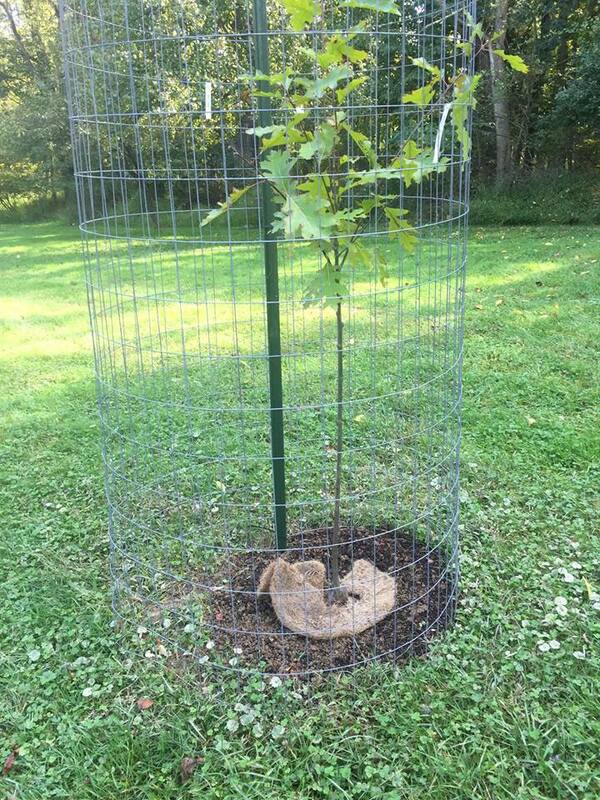 So how about planting a tree on a cremated remains grave? Up until now the problem with that has been that we need to precisely locate the grave’s latitude and longitude so we can enter it into our cemetery records. That would have meant hiring a surveyor to come out and locate each grave/tree, which is obviously cost-prohibitive. But now a new kind of GPS system is available, which provides surveyor accurate locations (within a cm). We are in the process of obtaining that system. 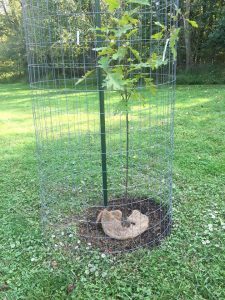 So, would you be interested planting a small tree or shrub on top of a loved-one’s cremated remains and watching the tree grow? We are now offering that service at Penn Forest, and we call it, Treemation. In this way, you can honor a loved one and help Penn Forest with our forestry work. These trees can last for years, and each time you visit Penn Forest you can see how your tree is growing. You can even include an engraved stone marker next to the tree. For more information, contact Laura Faessel (laura@pennforestcemetery.com).